How Much Storage Room Do I Need? Fully Licensed and Insured Moving Company MDPU#31125. DOT#1266989. MC#495073. Carmel Movers climate-controlled storage facilities is a perfect solution for those in need of storage space to keep their household items, before, during, or after your move. We offer sealed private containers, which we commonly refer to as “storage vaults”. The vault measures 7 feet wide by 7 1/2 feet high by 5 feet deep and holds approximately one room of furniture on average. Vaults may look small compared to the size of the room in your residence, but when loaded by Carmel Movers, the volume that can fit will surprise you. For Piano, Sofas, and any other large items, we have a designated place such as our racks; this way we can fit more in our storage Vaults. 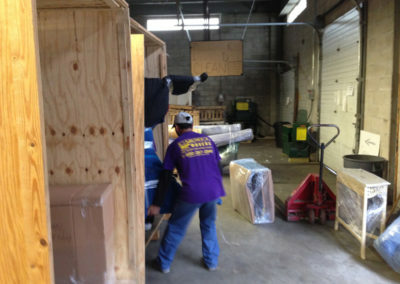 Customer possessions are professionally wrapped in moving pads as well as professionally inventoried at residence home. Padding your furniture and items will protect from potential damage claims. An inventory of your furniture and items will done by our professional movers, and a copy will be provide for you’re record. 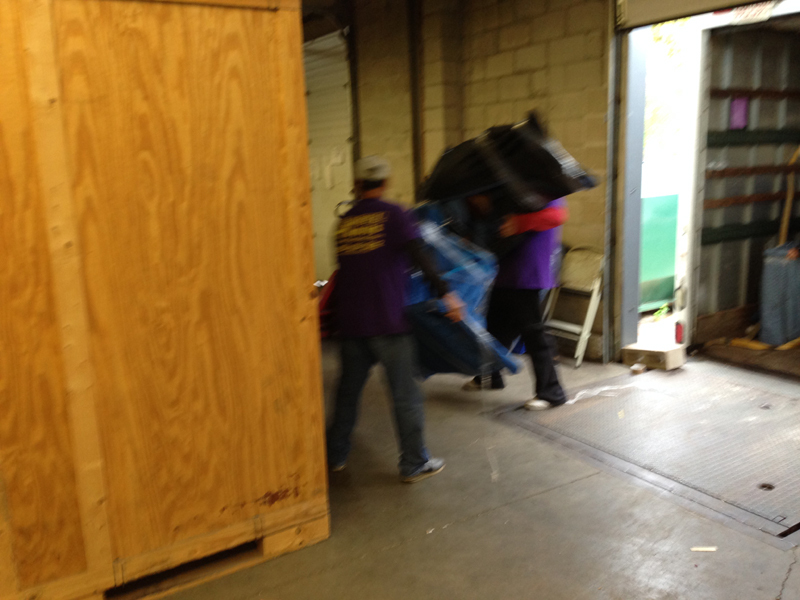 Our 20,000 square foot storage warehouse is clean, organized, secure, and fully climate controlled. Our climate controlled warehouse ensures that your goods will not be subject to extreme hot or cold temperatures. A controlled climate eliminates the humidity in the air and keeps the temperature from falling below 55° or rising above 80°. When you are in-between moves and don’t know what to do with all of your furnishings, let us store your belongings in our warehouse. 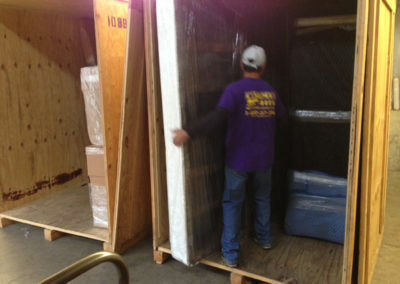 For your convenience and safety, we have fireproof, climate-controlled storage facilities. 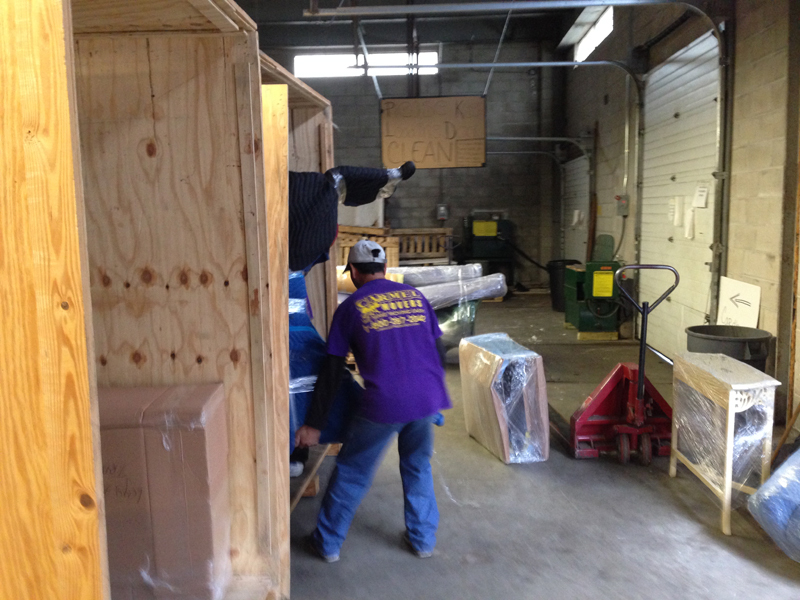 Our warehouse is designed to overcome every type of space problem you may have. Whether you would like more space at home or more efficient space at the office, Carmel Movers has the facilities and capabilities to handle your storage needs. 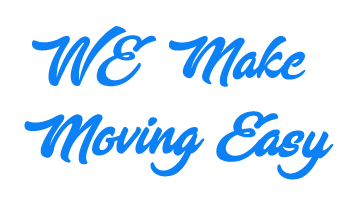 © 2004-2019 Carmel Movers Inc. All Rights Reserved.